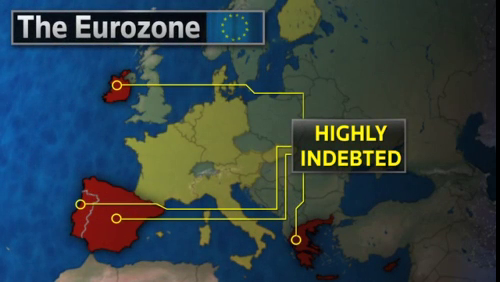 The Eurozone b/w trouble spots. (c. 2010) - Adam Wiesen is a multimedia designer in New York City. Same basic premise, adjusted to editorial taste. Lost the cross-hairs because frankly, they didn't add anything.